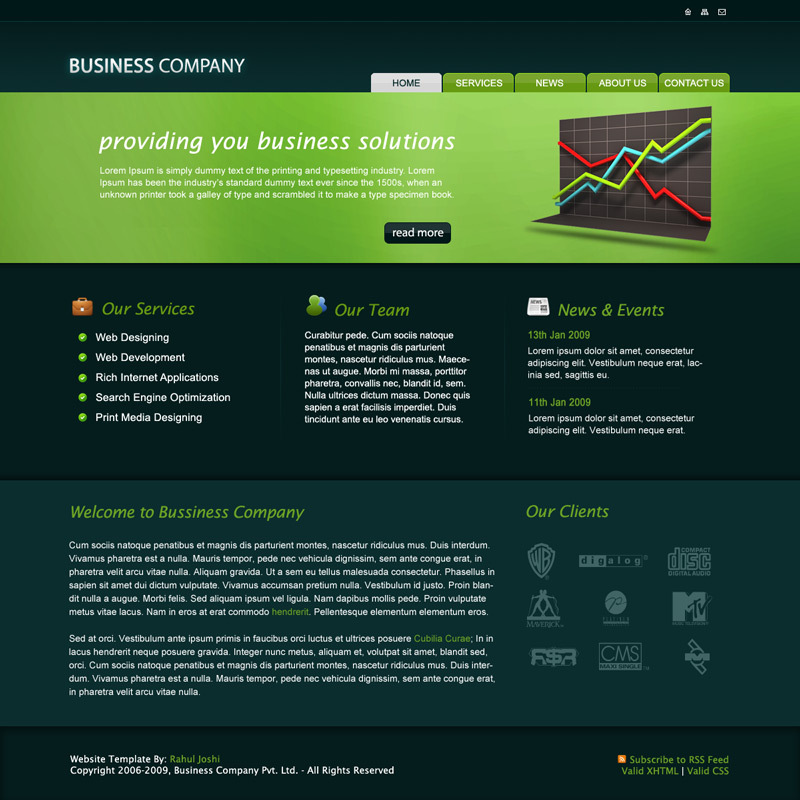 A clean business template which includes only one homepage design. Very clean and professional. Good job.